Back in September, Blue Pants Brewery won a silver medal at the Great American Beer Festival for its Dortmunder Adambier, just the second GABF medal earned by an Alabama brewery. 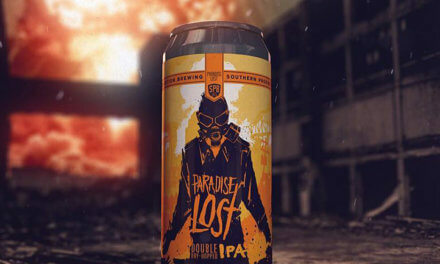 A few weeks later, they parted ways with their local distributor, leaving Lower Alabama with one less award-winning in-state brewery on tap walls and store shelves. This week, beers from the Madison, Alabama, brewery are back with a new distributor, and the folks at Blue Pants are rolling in with some fun events. Wednesday, Feb. 24 — Whole Foods, Mobile, 4-7 p.m.; Moe’s Original BBQ, Foley, 7-9 p.m.
Thursday, Feb. 25 — Cosmo’s, Orange Beach, 5-7 p.m.; Cottage Hill Package Store, Mobile, 6-8 p.m.
Fairhope Brewing Co. is one of three Alabama breweries recently recognized as one of the South’s best by Southern Living. Birmingham’s Cahaba Brewing Company and Gadsden’s Back Forty Beer Company were also honored by the magazine, which named a total of 22 Southern breweries to the list. Fairhope Brewing was also named the best brewer in Alabama in the RateBeer Best competition, which was conducted by RateBeer.com, a highly regarded website that allows users to rate and review beers. Straight to Ale’s Bourbon Barrel-Aged Laika was named the best beer in the state. Congrats to our local brewery on some pretty great achievements. I recently took a tour of the newest addition to the Cosmo’s Courtyard in Orange Beach, a space that’s going to raise the bar when it comes to craft beer in Lower Alabama. Luna’s Eat & Drink is slated to open this spring, joining Cosmo’s and Maggie’s Bottle & Tail in the ever-growing craft-centric Cosmo’s Courtyard on Canal Road. General manager Bert Scott and Abigail Eicher, director of wine and beer, showed me around the new space, which will include a coffee shop/dessert bar, a beautiful event space that will be available for rental, an outdoor beer garden and Luna’s, a restaurant with a heavy focus on craft beer. The enthusiasm around the place is palpable, and I look forward to visiting again as they get closer to opening. 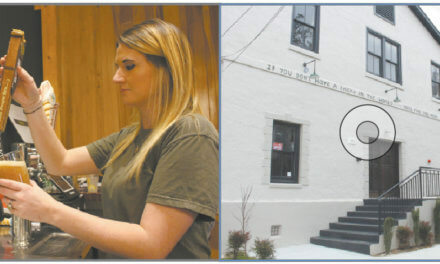 Last week’s DeTonti Square Neighborhood Association meeting was abuzz with the word that a Pensacola couple plans to open a brewpub in the former Waterfront Rescue Mission building on State Street. Rebecca Williams and Ben Ross are in what they called the “due diligence phase” of planning for Iron Hand Brewing Company, which means they’re elbow deep in paperwork and various forms that are required for every new brewery. 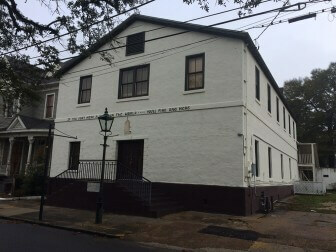 (Photo | Lagniappe) According to a recent neighborhood meeting, investors are interested in turning the former Waterfront Rescue Mission at 206 State St. in DeTonti Square into a brewpub and possible bed and breakfast. The couple shared their plans, which will initially include a one-barrel (31-gallon-per-batch) on-site brewery focusing on English, Irish and Scottish styles. 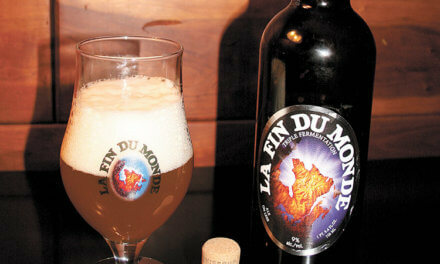 They plan to live in a second-story space above the pub, which is named after Henri “Iron Hand” DeTonti. Once they’re up and running, the couple hopes to eventually open a bed and breakfast onsite. Response from their soon-to-be neighbors is overwhelmingly positive.